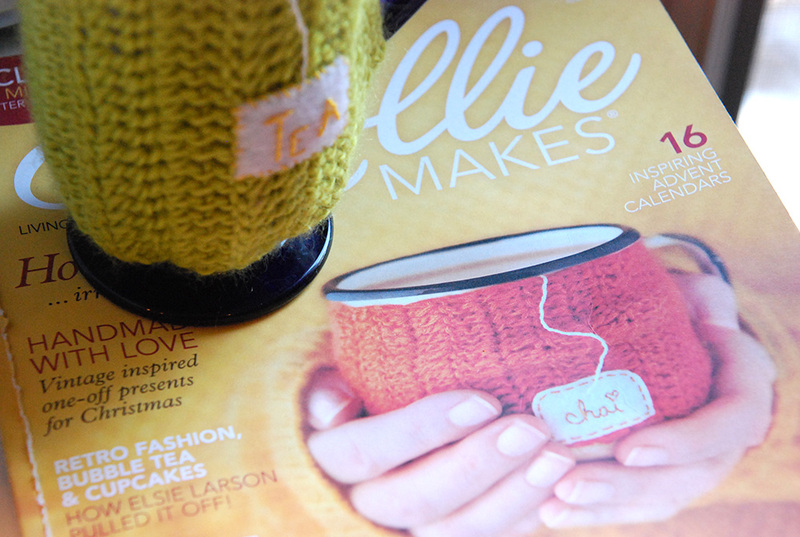 "Jill Makes" a Tea Cozy! 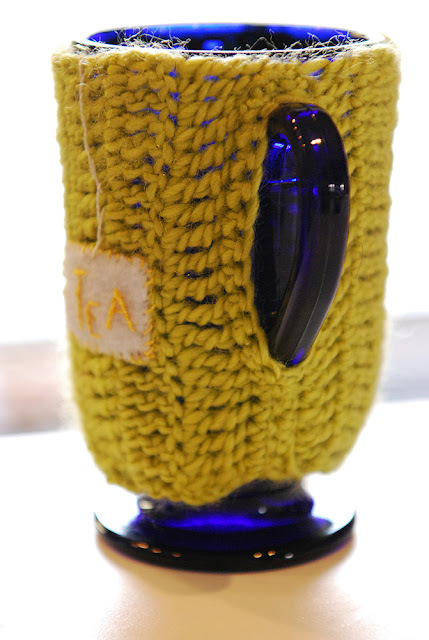 - Jill Ruth & Co.
"Jill Makes" a Tea Cozy! I've bought a couple more issues of Mollie Makes since the first issue came out that I blogged about here. Once again, just like with the little apple cozies, I was smitten with the idea of a tea cup cozy in the November issue! Look at the cute cozied cups in the magazine! Some are crocheted and some are knitted. 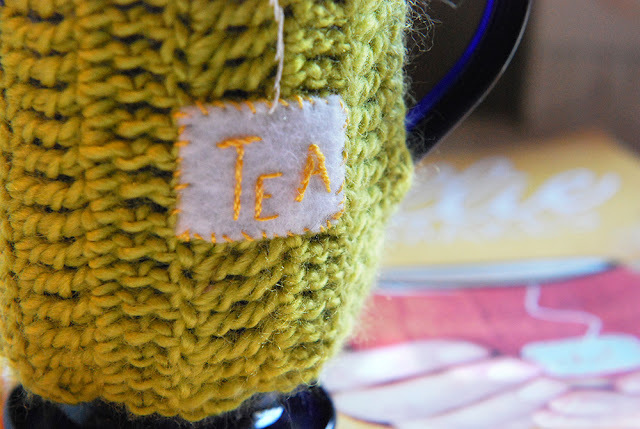 This tea cup cozy was a perfect project. Really easy. It didn't matter if I sat it down, I knew where I was when I picked it up. It was all treble crochet. I only know basic crochet and I'm sure it could have been "better" but, it's "good enough for who it's for!" 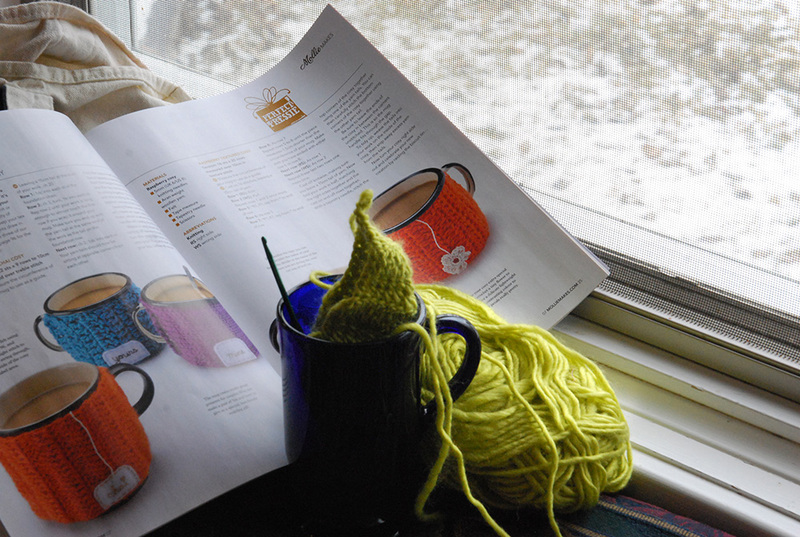 Even though the pattern is in the magazine, I don't think I'll step on their toes too much if I tell you that all you need to do is chain stitch the heighth of your mug, then treble crochet back and forth until it is wide enough to wrap around. Fold wrong sides together and stitch it closed with yarn and darning needle on the top and bottom. The directions said to use the yarn tail from the beginning and the end of the crochet to do this, which I did. Turn it right side out, add the tag, and slip it on your mug. I made my tag a little different from theirs. I cut a piece of square felt, embroidered "tea" on it and then tightly whip stitched it down. 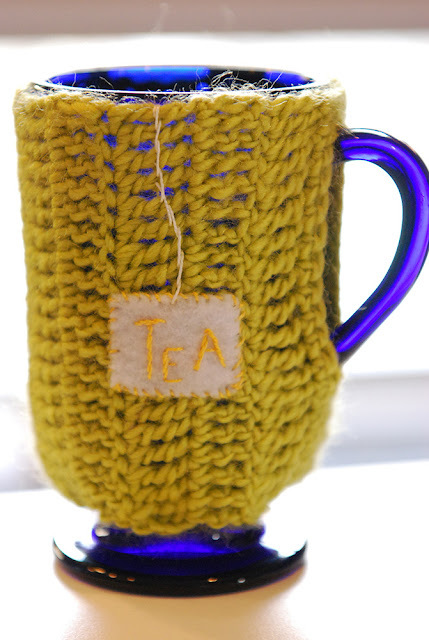 I used a back stitch to embroider the tea bag "string" on to the cozy. Now, how will it be to drink tea with something fuzzy below my lip? Not sure. :) I may just use it to sit and hold tea bags. 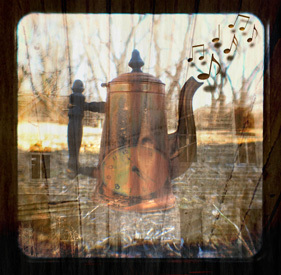 Wouln't this be neat to give as a gift with tea in the mug? You need to use a mug that is straight and not tapered at the bottom. This is the only mug I had that could work, but I'll be on the lookout for more! Linking up with Tidy Mom "I'm Lovin' It" Friday. Cute project, but your question about drinking with fuzzy yarn brings up a serious issue. I like your solution. I LOVE it!! What a great post- practical AND gorgeous too!! I bet you feel like a princess drinking out of that cup now!! I've signed up to follow your blog - I'm in love!! O I love that tea cozy!! that is brilliant! and the felted tea tag, o my gosh! to die for. Great job! Love this tea cozy, supper cute!